It’s the little dribble. Ask any Kentucky fan—heck, ask any non-Duke fan—what was so aggravating about Christian Laettner’s game-winning buzzer-beater against the Wildcats in the 1992 East Regional, and some might mention Duke’s tedious run of success in NCAA basketball, and even more might note that Laettner should’ve been ejected from the game much earlier for deliberately stepping on a Kentucky player. But what really eats at a lot of folks is that in the 2.1 seconds Laettner had to make a shot, he spent a full second on a dribble before he turned and launched. So, so cocky, knowing that he had plenty of time to establish his position before firing away. And so right, damn him. 30 For 30 has produced a lot of “sympathy for the devil” docs over the run of the series, but “I Hate Christian Laettner” takes a different approach than the likes of “The U” and “No Crossover,” perhaps by necessity. Director Rory Karpf (who previously made “Tim Richmond: To The Limit” and “The Book Of Manning”) turns this film about Duke’s most-despised player into an essay on sports-hating in general, and how it can go beyond fans of one team sneering at their bitterest rivals. Every so often there’s an Alex Rodriguez, a Brian Bosworth, or a Christian Laettner who becomes a villain even to those who have no vested interest in whether their team wins or loses. “I Hate Christian Laettner” suggests some reasons for this, from the basic human need for good-versus-evil narratives (which Karpf illustrates by including a brief interview with wrestler Ric Flair) to our more complicated tendency to extrapolate from one mildly detestable quality (as in “Duke” equals “privileged” equals “entitled assholes”). Karpf then tries to break down Laettner’s specifically annoying traits—or at least what his haters perceive as those traits. It’s hard to deny that basketball fans (and some of Duke’s opponents) disliked Laettner because he was attractive and highly skilled, which are the fourth and fifth “prongs” on Karpf’s five-pronged Laettner-odiousness “pitchfork.” And the third prong, “bully,” is something both Laettner and his Duke teammates admit to, with Laettner saying that his brother picked on him as a kid and that he passed the abuse along to friends and foes alike. But Karpf pushes back against the knock on Laettner for being some rich preppie, pointing out that he actually came from a working class background—as did most of his fellow Dukies, aside from Grant Hill. 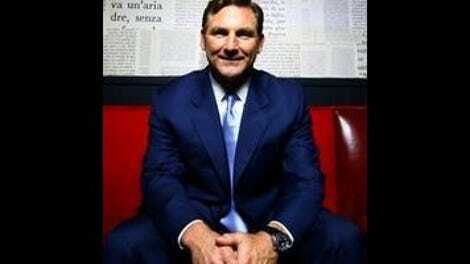 And as for Laettner being hated for being white? None of the former Laettner rivals interviewed in “I Hate Christian Laettner”—not even the ever-provocative Jalen Rose—singles out his race as a reason they couldn’t stand him. Frankly, Karpf zips a little too quickly past the question of whether opposing black players were perturbed by Laettner’s whiteness. The film also breezes by the rumors that Laettner and his best friend at Duke, Brian Davis, were lovers (although kudos to Karpf for bringing that up at all), and it elides Laettner and Davis’ troubled post-basketball business co-ventures. 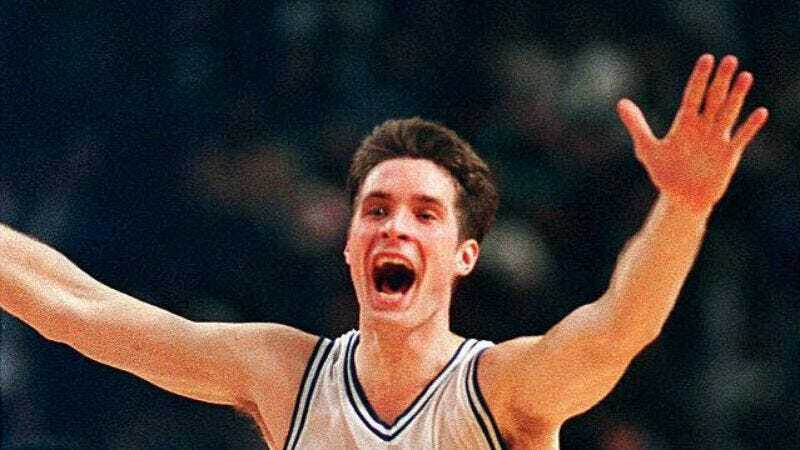 “I Hate Christian Laettner” defaults too often to the cutesy, from the Rob Lowe narration to Karpf using pictures of Kanye West and Vanilla Ice to illustrate, respectively, bullying and how much white people loved black culture in the 1990s. There are multiple juicy topics that this film raises and then drops, like the controversy over Laettner being named as the token college player on the original Olympic “Dream Team” instead of Shaquille O’Neal (meaning that for all time Laettner is in the pictures of the greatest basketball team ever assembled), or the way the media lets their preconceived notions of certain players, coaches, and programs determine whether their rough play gets called “gritty” or “dirty.” Instead, this 30 For 30 falls back on of the series’ more banal recurring themes: Times Have Changed. Whatever Laettner represents about class, passion, or animosity in sports takes a backseat to the notion that because great college basketball stars don’t stay in school for four years any more, few of them become well-known enough to be loathed. But as I said up top, Karpf may not have had much choice in the way he approached Laettner as a subject. The key to a lot of 30 For 30’s past “the bad boys aren’t really so bad” episodes is that the main characters were either misunderstood at the time or have experienced some kind of comeuppance that makes them look back with regret. Basketball-wise, Laettner’s regrets are modest. He graduated from college after appearing in four consecutive Final Fours (and winning two titles), then went on to play 13 years in the NBA, where he wasn’t a superstar but was hardly a washout either. And aside from being mistaken for wealthy in his Duke days, fans and non-fans didn’t really the have the wrong idea about him. Laettner is interviewed at length in this film, and seems like a forthright guy. But he’s not about to apologize for how he played the game—nor should he, given how successful he was. What this means is that Laettner as a documentary subject is a lot like Laettner as a basketball player: scarily efficient and hard to warm to. Every now and then in “I Hate Christian Laettner,” Karpf shows one of the many clips of Laettner throwing an elbow, getting an opponent to retaliate, then smugly clapping and smiling when the other team gets called for the foul. This film never really gets to the bottom of that guy—the one so quietly, annoyingly confident that everything would always break his way. I know a lot of other TV critics and basketball fans have been charmed by “I Hate Christian Laettner,” so I’m probably just a cranky outlier on this one. (Although a “B-” is no pan, I hasten to add.) I’ve been thinking about why it may have rubbed me the wrong way, and I think it may have something to do what I like about so many 30 For 30s. My favorite episodes tend to break down strategy and performance on a micro and macro level, while this one deals with the kind of abstract traits that old-school sportswriters prefer: “heart” and “will” and such. Not quite my tempo. Unexpected interviewee, ‘happy surprise’ division: Coach K’s wife, Mickie Krzyzewski, who clearly cares deeply for Laettner, and has some real insights into what he was like as a young man. Unexpected interviewee, ‘unhappy surprise’ division: Duke grad Ken Jeong, who… went to Duke.